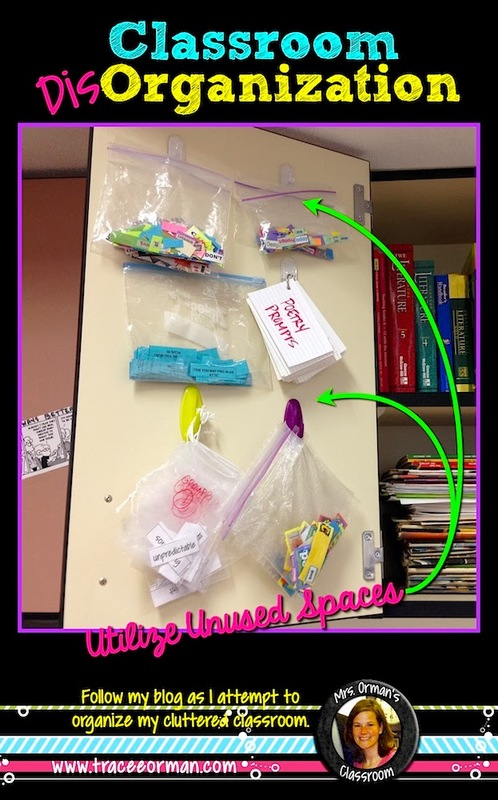 Just wanted to post my latest attempt at organizing my classroom. We kicked off our poetry unit this week (one of my favorites!). 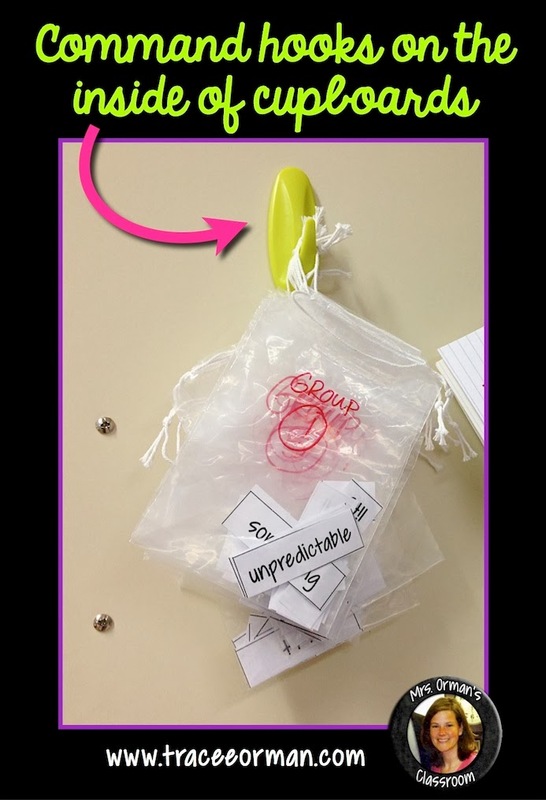 As I was digging through my very cluttered drawers looking for baggies for a new activity I shared with my students today, I realized I needed a better system for storing them than just shoving them in a drawer when we are finished. Some of the words slipped out and I am pretty sure there are many still stuck in the corners of the drawer. Voila—such a simple solution, but I can't believe how much drawer space it frees up. The best part: I won't have to dig through them anymore to pick up all the little word pieces that fell out of the baggies. 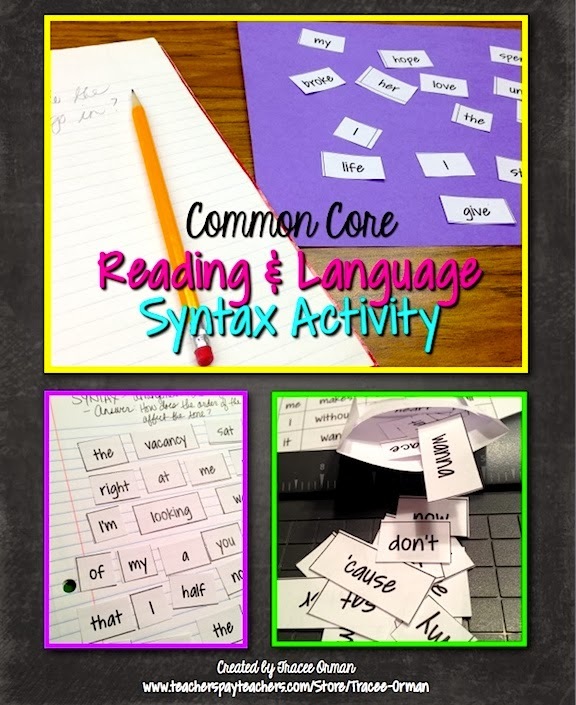 If you are curious about the activity I shared with my students today, I will be uploading it later this week—or tomorrow if we have a snow day—on my teacherspayteachers site. :) I wanted to try it out with my students first and I thought it went over really well. And since I was evaluated by my principal during the activity, I'll keep you posted on what he thought of it, too. 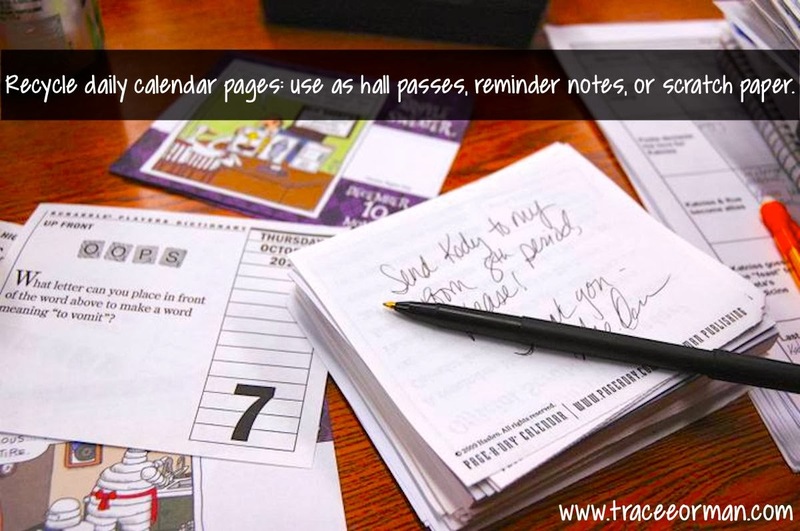 One last tip (though I'm not sure this helps with my organization, but I hate wasting paper! ): I reuse the daily calendar pages as passes or notes for students. I have a little desk tote that Scholastic Book Clubs sent that I keep the ripped-off pages in. Then when I need to write a pass or a note, I use one of those instead.